There might not be a hotter industry right now that food trucks. According to one recent estimate there are nearly 10 million people working in 3 million food trucks nationwide. 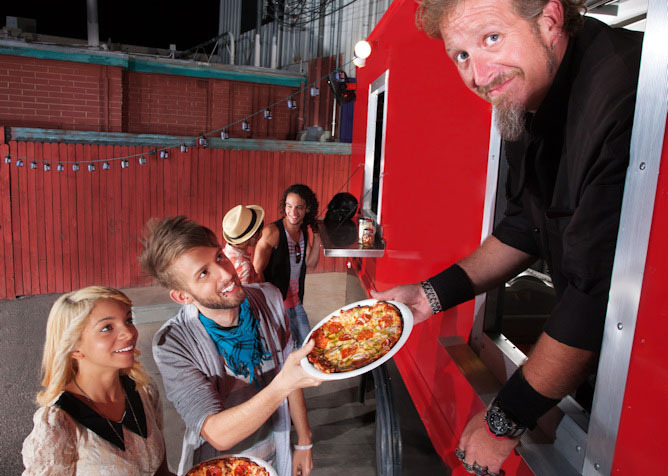 Also, check out our recent blog post on starting a food truck. What better way to take your successful restaurant idea on the road and cut out the huge overhead costs of running a restaurant? As much as it’s a more affordable option, it still requires a significant investment of capital and time to keep it running. Getting that cash flow to purchase additional equipment, keep staff paid, add additional trucks—it’s expensive. Getting that cash from the bank is a tough proposition in an environment like the one we’re in now. Access to capital is restrictive and small business owners aren’t able to get the financing they need. In response to increased demand from consumers, Silver Rock Funding can get business owners small business loans from some of the nation’s best lending sources. The process begins when you fill out an application. From there, we assign you a dedicated funding manager works with you as a food truck business owner to gather the appropriate materials for your specific needs. Plus we work with bad credit options if you are concerned about your credit. The best part is we can provide you with access to up to $500,000 and get you approved within 24 hours and funded within 72 hours. One of the most popular ways to finance your cash is through a merchant cash advance whereby you pay back the cash you owe through a portion of future credit card sales. This is a great option because the cash comes out in a small daily amount and you are able to continue to grow without having to pull out a chunk of money from your savings. For most small business loans, you will most likely need to provide six months of bank statements and three months of merchant processing statements. The process of getting small business loans has never been simpler and with Silver Rock Funding. Bad credit loans aren't a problem. You could be on the way to getting the cash you need for your food truck sooner than you think.